Next on my reading list were a pair of Murakami novels I first read a few years ago: Wild Sheep Chase and its sequel, Dance, Dance, Dance. There are actually another two books in this series that take place before Wild Sheep Chase, but I have yet to come across English language translations of these. Fortunately, they are not required to enjoy the books I do have access to. Wild Sheep Chase takes place in 1978 and introduces us to the unnamed protagonist of both novels. Living in an apartment in Tokyo, he is at a crossroads in life and seems doomed to live out his days in a rut with his sickly cat until two incredible events happen. The first is beginning to date a girl with magical ears. The second involves a picture of sheep in the Hokkaido countryside, provided to him some years ago by a recluse friend nicknamed “the Rat.” When he uses this picture in a brochure for work, the protagonist catches the attention of powerful right-wing business leader, whose agent tasks him with finding one particular sheep from the photo, an animal suspected of carrying within it a means to access extraordinary powers of personal influence and intellect. With only his girlfriend’s intuition and a set of cryptic letters from his friend to go by, he must find the sheep or face the consequences. In Dance, Dance, Dance we are reunited with the unnamed protagonist roughly four and a half years after the conclusion of Wild Sheep Chase. Shaken by the events of the previous novel, he finds himself inexplicably drawn back to Hokkaido and a certain hotel that changed the course of his previous adventure. He is once again on a quest, this time for something that was lost during the first book. As part of his search, he must navigate a world of eccentric artists, deceased call-girls, and random drives with a moody teenager to piece together the clues of this mystery. Aiding him along are the only two friends he has left, a troubled 13 year-old clairvoyant and a rather famous former classmate with whom he has recently reconnected. I thoroughly enjoyed revisiting these books, especially since enough time had passed since my first reading for them to feel fresh in my mind. They had a sense of mystery and intrigue about them that really drew me into the world right away. The way Murakami incorporated the supernatural elements of the story into normal everyday life and, inversely, made aspects of the magical world more mundane is something I found quite engrossing. His combination of eerie gloominess, resigned acceptance, and a pragmatic hope really drew me to the story, presenting a gripping and an intense mix of surreal and grimly all-too-real elements. Enhancing this mood were a wealth of sensory descriptions and references that brought greater intimacy to the story. Murakami did a great job getting the reader into the setting of wherever the action was taking place; forests, beaches, bars, cars, hotel rooms, etc. were all brought to life in ways that almost took the reader there themselves. Food and drink are also brought up frequently, giving the story a taste and smell as well; mainly noodle dishes and whisky, with some international cuisine and the occasional case of beer thrown in for good measure. Most striking of all though was the music, as both novels referenced a rich catalogue of tapes and records that provided an excellent soundtrack to the reading experience. Running the range from 1960s jazz (Arthur Prysock and Count Basie) and rock (Rolling Stones) to contemporaries like Michael Jackson, Talking Heads, and Styx, the diversity presented was almost as much fun to keep track of as the story itself. Through these insights, along with his tendency to offer absurdist non-sequiturs, the protagonist became a character that I was able to get invested in as a reader and, as a result, he really pushed these books over the top for me. After factoring in all the other things I liked about these novels, I can easily say that they are among my favorites from Murakami. Together or separately they make for excellent reads that showcase the author’s literary skills and storytelling abilities. Consider them highly recommended. The session beers continue! This next brew was part of a mixed six-pack I picked up the other day. 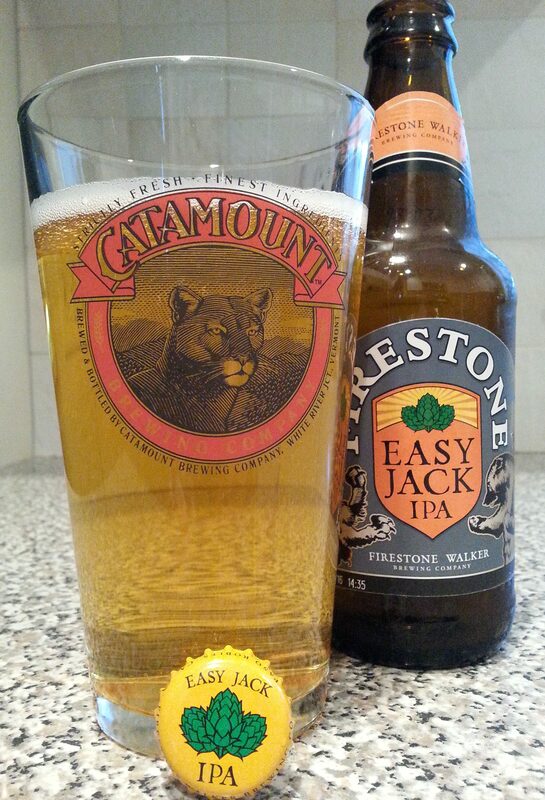 Description: Firestone Walker’s take on the session IPA, it was brewed with a variety of hops coming from Germany, New Zealand, and the United States. Giving my snifter the day off, I poured this bottle into a pint glass. Appearance: It had a see-through light golden/amber body with a thin, fizzy white head fed by bubbles running up the sides of the glass. Smell: Some faint sticky sweet aromas, but overall rather mild. 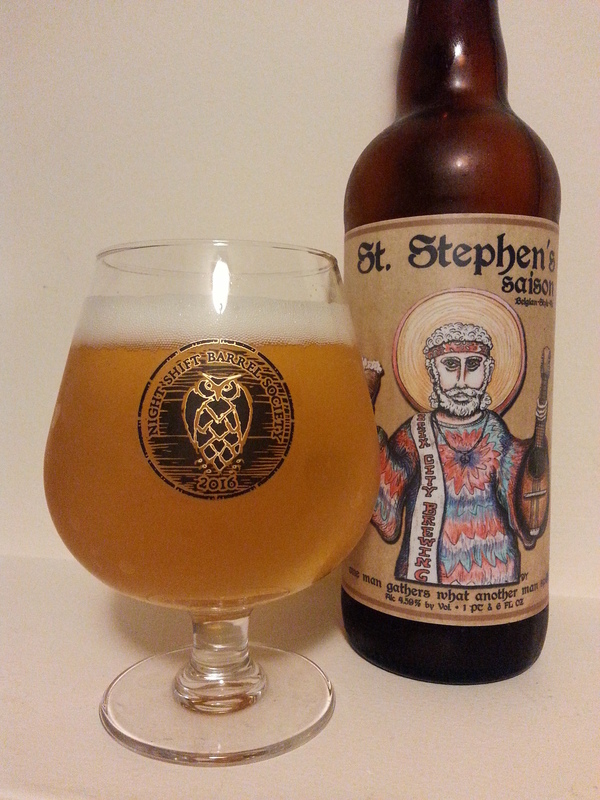 Taste: Started out with a light lemon and orange zest fruitiness followed by some sweet, resinous hops on the finish. There was a noticeable presence of bready light malts underneath, nicely proportioned to the hops. Light, flavorful, and well-balanced. Mouthfeel: Medium to light bodied with some lively carbonation. There was also a bit of a sticky feeling on the finish that complemented the hops quite nicely. Hype Factor: I really enjoyed this brew’s older “brothers,” Union Jack and Double Jack, and have much respect for Firestone Walker. As a result, I was looking forward to trying this one. 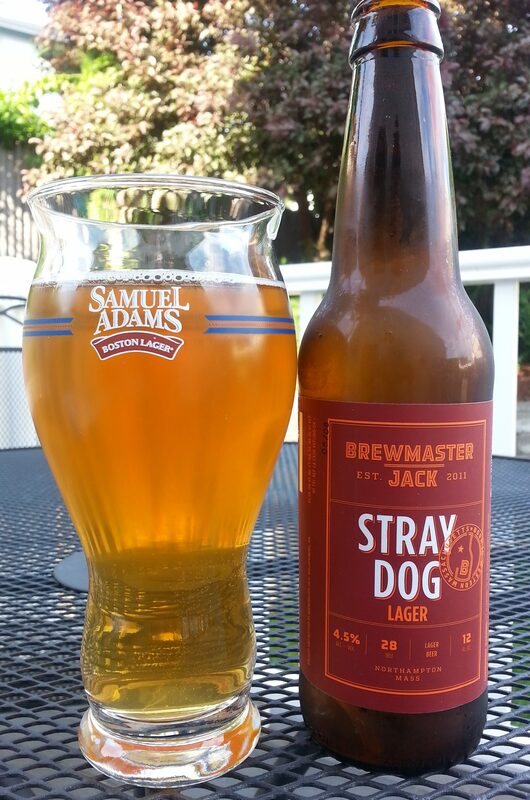 Overall: This was a very nice little beer, well-balanced with good flavor. I particularly liked the hop profile that it ended with. I think the SingleCut Billy 18 Watt is still my favorite session IPA so far, but I liked this one Good pickup. 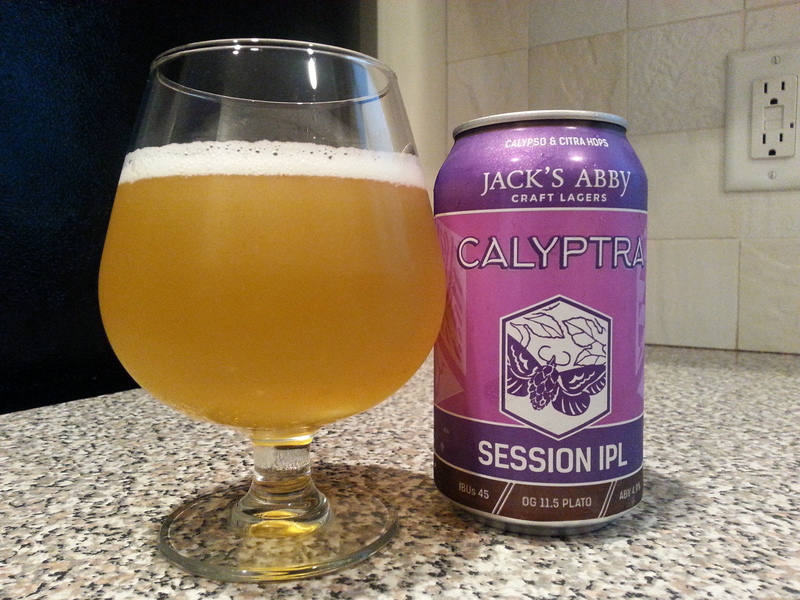 The warmer weather has returned and I am jumping back into session beers, this time with an offering from local favorite Jack’s Abby. I actually have a couple of their beers sitting in my fridge awaiting review, but this time around we’re looking at Calyptra, a session IPL. Description: The brewery’s year-round India Pale Lager, it’s brewed with Citra and Calypso hops and gets described on the company website as “an easy drinking brew that balances dominating fruity, citrusy, and tropical aromas with a sessionable malt body.” For this tasting, I poured a refrigerated 12 oz. can into my snifter glass. 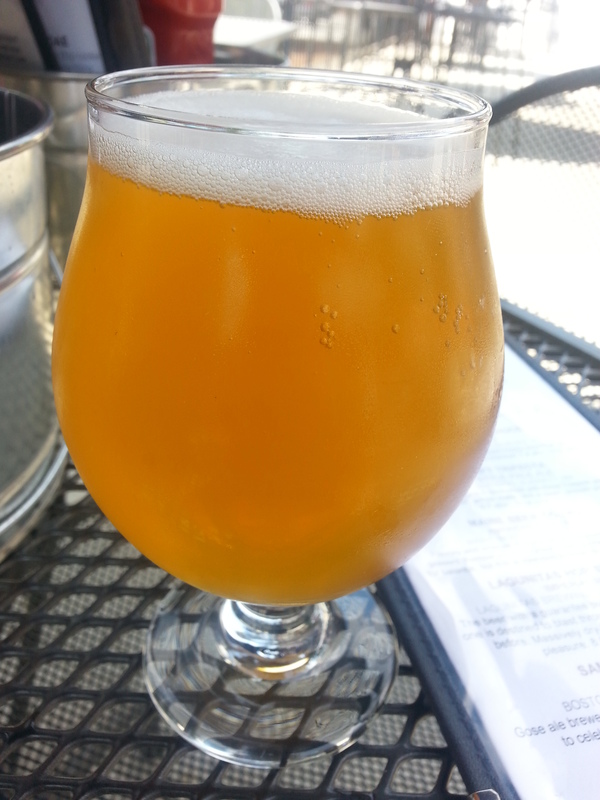 Appearance: The beer had a light golden, straw yellow body atop which sat a foamy white head. Smell: Sweet tropical fruits with resinous hops lingering in the background. Taste: It started out with light bready malt upfront, followed closely by a mellow blend of the aforementioned tropical and citrus juices. Taking it to the finish were lemon zest and a light yeasty, malt taste. Overall very mild in taste with the zest probably being the most prominent of the flavors. I was a little bit surprised by this one as the juice and hop profiles ended up being much more subdued than smell had indicated. Mouthfeel: Smooth and medium bodied with a slightly less than moderate level of carbonation. Incredibly drinkable, I could have easily gone through this pour very quickly in different circumstances. Hype Factor: Not exactly a hyped release, but it is always a pleasure to try a new beer from a brewery you really like. Overall: This one didn’t really stand out for me and I definitely preferred the two previous session beers I’ve reviewed so far over it. I was expecting something a little bit hoppier based on the style and I wasn’t fully sold on the zest/malt combination it finished with. Taking advantage of a brief lull in the warmer weather, I decided to drink something from my refrigerator that otherwise might have been in there for a while. I was having a hard time making a choice at the bottle shop a few weeks ago, so my wife started pointing out things she thought I might like. 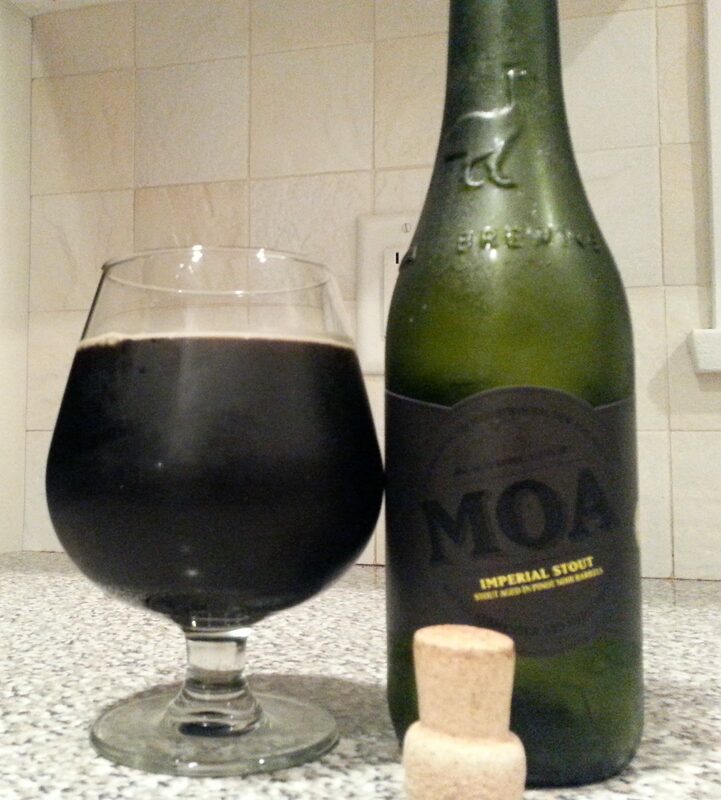 What I ended up with was this rather interesting looking stout from Moa Brewing Company, located Marlborough, New Zealand. Description: I couldn’t find much in the way of official release notes regarding this particular variant, but the brewery does offer a description of the base stout here. The beer came in a rather nice looking corked and caged 12.7 oz. green bottle at a $5.99 price point. Not bad for a barrel aged offering. Appearance: It had a deep brown, nearly black body with a faint reddish tinge when looked at from the right angle. Despite some aggressive coaxing, there wasn’t much of a head on this beer, just a slight bit of tan lacing lining the top edges of the glass. Smell: Clearly influenced by the barreling process, it smelled almost exactly like a full-bodied, slightly sweet red wine. Taste: Dark malts upfront with a sweetness more reminiscent of a much smaller milk stout. These were soon overtaken by an oaky barrel presence that brought with it notes of a strong, dry red wine. At cooler temperatures these flavors were all rather subtle, but as the beer sat for a bit and warmed to room temperature, the red wine really opened up to assert itself as the primary characteristic of the beer. A dry, slightly bitter finish also developed as the beer went on, but overall the taste was heavily influenced by the barreling process as well. Mouthfeel: Started out with a thick, creamy body. With the exception of some fizz around the initial sip there wasn’t much carbonation going on. In keeping with the beer’s wine-like character, it ended up feeling a bit thinner and significantly drier \than it started. Hype Factor: None other than curiosity. This beer and brewery were a complete mystery to me going in, which was actually kind of nice. Overall: This beer was a pleasant surprise. As I said, I was really not sure how it would turn out, but it ended up being a pretty good barrel aged stout. I have to think they achieved what they were going for with this release, as every step of the way the beer brought to mind those Pinot Noir barrels. Fans of wine influenced beers should definitely check this one out. My second session beer of the season happened to come to me a few weeks ago as a very timely gift, yet another bottle making the trip up from New Jersey with friends. While not explicitly advertised as a session beer, this offering from Brix City Brewing in Little Ferry, NJ certainly fit the criteria for my purposes. It also gave me with a good opportunity to check out a style I tend not to drink very often. Description: Described on the bottle as a Belgian styled saison. On the company’s website, they provide a brief background on the style and bring up “barnyard” and “horse blanket” as the primary flavor descriptors. Prepared to face some funk, I poured this into a snifter glass for sampling. Appearance: Pale yellow/golden body with a one finger fizzy white head. Smell: Slightly sweet with a distinctive spicy Belgian yeast influence. Taste: Light and sweet upfront, followed by a subtle mixture of floral, banana, and peppery tastes imparted by the yeast with some mild spices thrown in for good measure. I found all of these components complemented and balanced each other nicely with no particular aspect dominating over the others. I did not get any of the “barnyard” flavors mentioned on the website, but that was just as well for me; I don’t mind some funk in the right beer, but I don’t think it would have added anything to this particular one. Mouthfeel: Medium to light bodied with a lively carbonation. Crisp, dry finish. Hype Factor: Hype maybe isn’t the right word, but, full disclosure, I was really looking forward to trying this since one of my friends in New Jersey recently got an opportunity to do some brewing at Brix City. How awesome is that? Overall: Light, refreshing, and an all-round nice beer. Saisons tend to be very hit or miss for me, most often missing due to an overly peppery finish or other such perceived imbalance that I find off-putting. This beer though was definitely a hit. What did it for me was the blend and balance of flavors working out just right for my tastes. Looking forward to trying more from this brewery in the future. It’s just about that time of the year for me to start thinking about session beers. These friendly, refreshing, low-ABV offerings seem to have become quite a thing in the last year or two and for a variety of reasons now is the perfect time for me to start getting into them. Appropriately enough, I had my first official session beer of the year on a hot, humid 90 degree day while enjoying a burger and some shaded patio seating at a local restaurant. Description: The brewers (and the beer menu) described this as a sessionable IPA packed full of “all the orange zest, pine and tropical lupulin crunch you demand.” Sounded good to me. I got to try this on tap and it was served in a snifter glass. Appearance: It had a golden pale straw body with a thin bubbly head that left some wispy white lacing across the top and sides. Smell: Sweet citrus fruit aroma with an underlying bitterness. Taste: There was a refreshing blend of citrus and tropical sweetness upfront, accompanied by a surprisingly bold piney hoppiness that got enhanced by just a touch of orange zest. On the finish the sweetness faded a bit and was replaced by a light, biscuity malt taste. Very well executed. Mouthfeel: Medium bodied with a moderate amount of carbonation, just about what you would expect for the style. Hype Factor: I had heard some good things about this brewery recently and was wanting to try something on the lighter side when I saw this on the menu. Seemed like it was meant to be. 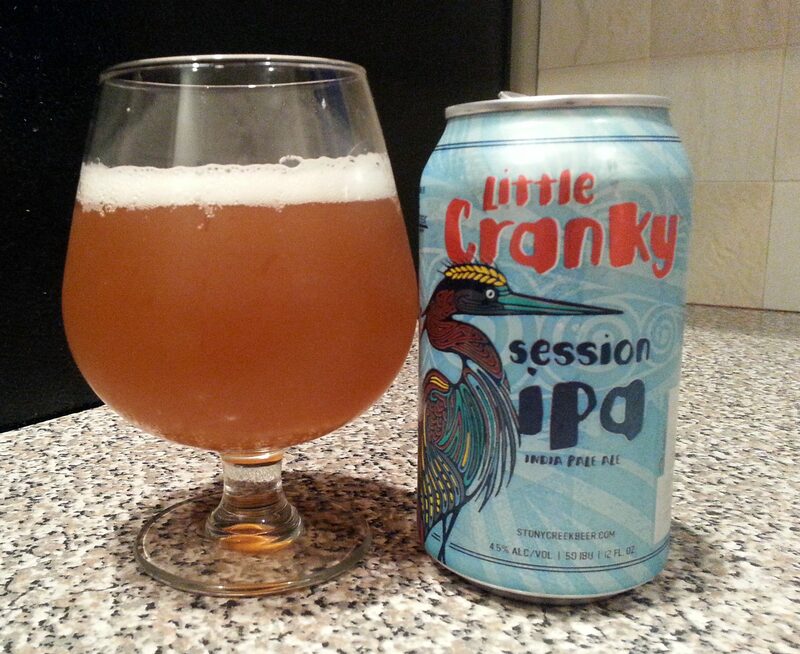 Overall: I really enjoyed this beer and got out of it exactly what I hoped for. It had a lot of flavor and was really refreshing to drink, especially outside. Would definitely order this again and also consider picking up some for home if I see it around. Excellent brew regardless of how it is categorized.